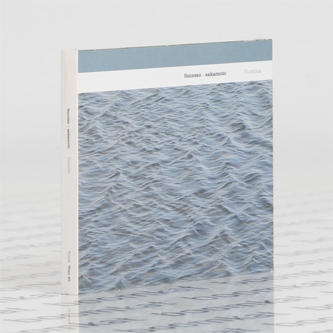 Haunting, weighty new offering on Touch from Christian Fennesz and Ryuichi Sakamoto, their third full-length collaboration. As before, the focal point is Sakamoto's minimalist but lyrical, luminescent piano playing, cast in sumptuous light and shade by Fennesz. The most obvious comparison is to Harold Budd and Brian Eno's seminal collaborations, but it's fair to say that Fennesz/Sakamoto bring a unique textural character and all-round gravitas to their tremulous works of keyboard ambience. More than anything, these numerically titled pieces are studies in reverb and spatial arrangement, vividly demonstrating how such considerations can enhance and expand the scope and impact of an acoustic instrument. Really, if you're familiar with these artists then you shouldn't need further encouragement to investigate: it's the sound of two bona fide masters at work.